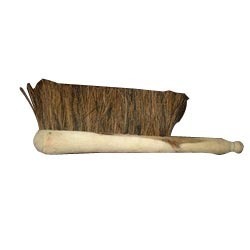 Leading Manufacturer of banister brushes from Kolkata. For meeting the diverse requirements of our clients, we are engaged in offering a superior quality range of Banister Brushes. The offered brushes have soft bristles made from 80 percent natural horse hair, which are blended with soft and durable fibers. Moreover, these brushes are highly suitable for fine finishes in home, office and car. Handles are smooth and rounded for comfort and made from renewable plantation material. These brushes are offered by us with natural coco bristles and smooth, rounded handle for comfort. Our products are widely used in homes, workshops, offices, gardens and cars. Banister brushes are also perfect cleaning options for fireplaces. Looking for Banister Brushes ?